Fig. 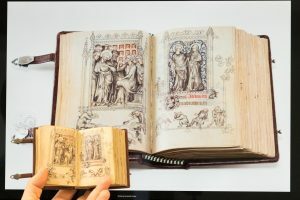 15 Comparison between digital image and facsimile of the Hours of Jeanne d’Evreux in the Cloisters (New York). 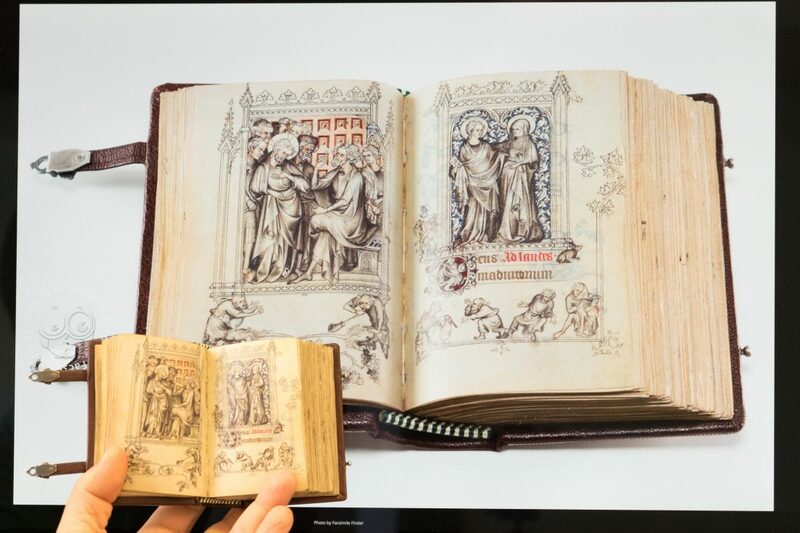 The manuscript folio digital image on a regular screen measures 7.5 x 5.5 inches, while in real life the manuscript measures 3.5 x 2.3 inches.